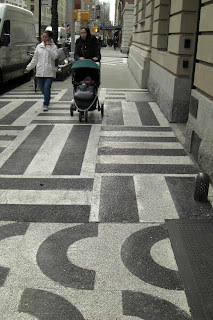 On the Upper East Side of Manhattan, there is a stretch of sidewalk unlike any I've ever seen. A pattern of arcs and stripes spreads out along the front of a tony apartment building. The neighbors don’t seem to give it much thought. Do they like it or think that it’s too bold, too different from the rest of this subtle, well-heeled neighborhood? I want to know the story behind it. Who was the non-conformist who dreamed it up then managed to get it installed? 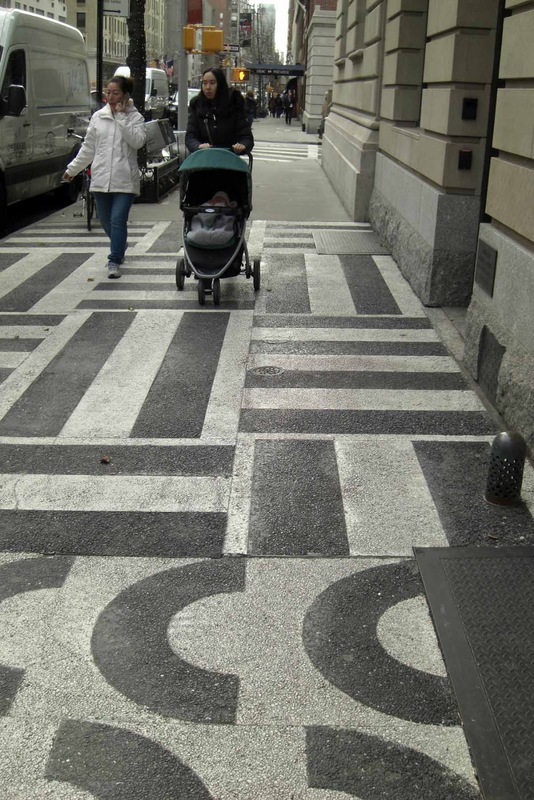 If you could design a special sidewalk, what would your design look like?